"Having worked with small business owners for most of my career in banking, I found the business advisers at the SBDC to be invaluable partners in helping my clients become more successful in managing their businesses, or even, making their dream of becoming an entrepreneur a reality. Through the SBDC I can continue following my passion for helping small business owners in whatever way possible." 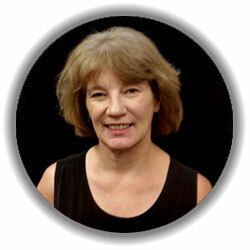 Deelia has been a member of the SBDC's Advisory Council since 2006. For the past 25 years, Deelia has been involved in banking in Southern Oregon. Her last position was as the Vice President and Relationship Manager at US Bank - Business Banking in Grants Pass, Oregon. During her banking career, she has specialized in business financing, customer relations, and other aspects of commercial banking, working throughout Josephine, Jackson, Curry and Del Norte counties. Deelia is a strong believer in giving back to her community, and has volunteered for many years with several local agencies, including United Way of Jackson County, Siskiyou Community Health Center, Boys & Girls Club of the Rogue Valley, among others. She is a Past President of the Illinois Valley Rotary Club and as a past participant in the Ford Family Foundation Leadership Program, helped build a new 9-hole Disc Golf Course in the Illinois Valley. Deelia also currently serves on the Rogue Community College Foundation Board. Deelia and her family live in the beautiful Illinois Valley, where her family settled in the early 1900's. She likes to keep busy; going on road trips and enjoying the rivers, vineyards and mountains surrounding us.